With Zen 2 arriving next year with not only the Epyc second generation Rome, but also the desktop mainstream and HEDT with Ryzen 3000 and Threadripper 3000 respectively, there’s a lot of news floating about regarding the IPC gains of the next generation AMD architecture. 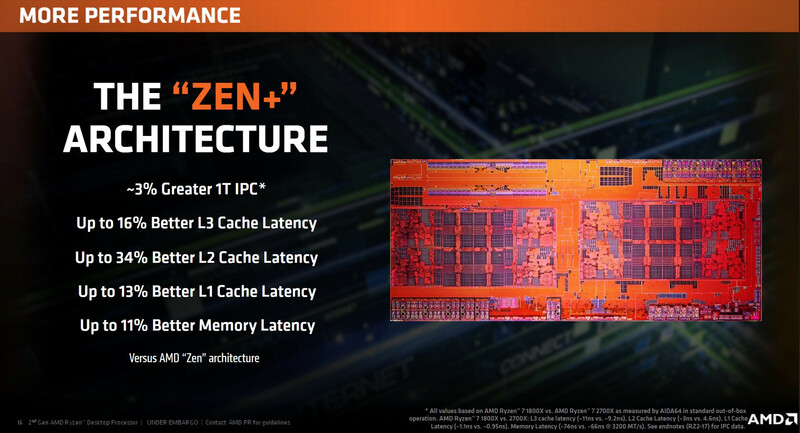 AMD confirmed at best we’ll see up to a 29% IPC gain with the Zen 2 architecture, but that is in the absolute best case scenario, and have cautioned against the notion that will be the normal performance increase. 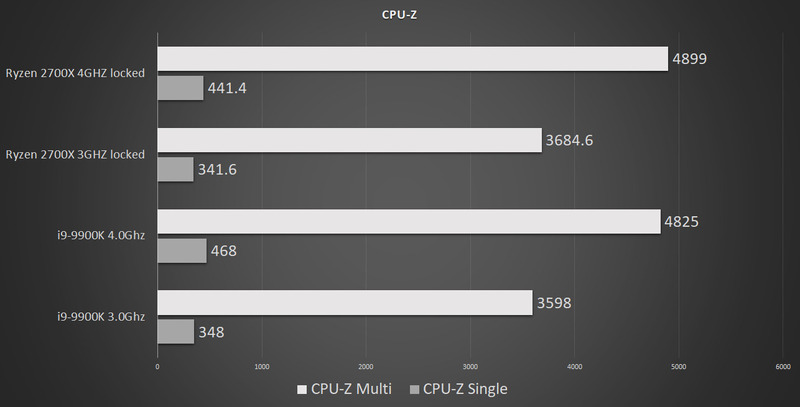 Indeed, Zen 2 IPC gains are more likely to be closer to the 10 – 15 percent mark, the long-touted rumor of performance increase we’ll be seeing. So there’s a question then – how will that leave AMD in terms of IPC and performance against their biggest rivals – Intel? We all know the story of AMD’s comeback by now, back in April 2017, AMD launched their Ryzen series of processors and changed the processor landscape seemingly overnight. There were several SKUs available at (or shortly after) launch, with the crowning jewel being the Ryzen 7 1800X; although arguably the Ryzen 7 1700(X) processors were the better value proposition. These 8 core behemoths dwarfed Intel’s then flagship Kaby Lake I7-7700K CPU and its 4 core 8 threads. 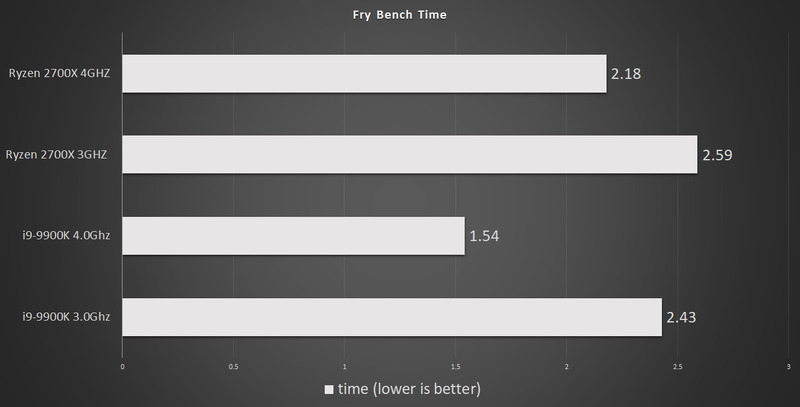 But there was an obvious issue with the Ryzen 7 (and other Zen based chips) – they didn’t hold a candle to Intel’s clock speeds. That and Intel’s clearly superior Single Thread (ST) performance meant that while Intel lost in the content creation and jack of all trades battle, it held its own rather well for gamers who demanded the highest frame rates. 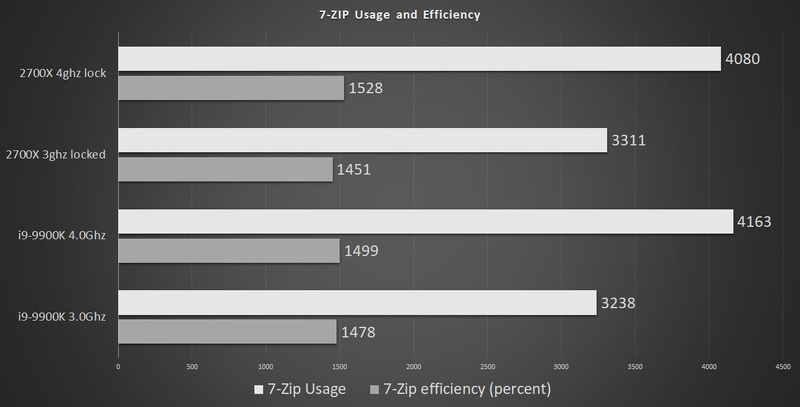 AMD sought to remedy this by releasing Zen+, and our own analysis backed up AMD’s own claims; Zen+ eeked out a 3 ish percent IPC gain from the original Zen thanks to memory controller improvements and lower cache latency… oh and a mild (but still needed) clock speed boost. And this is where we’re at right now – Intel’s I9-9900K has been launched, and AMD’s Ryzen 7 2700X is still selling rather well, despite the I9-9900K’s clearly superior performance, it’s also rather more expensive. 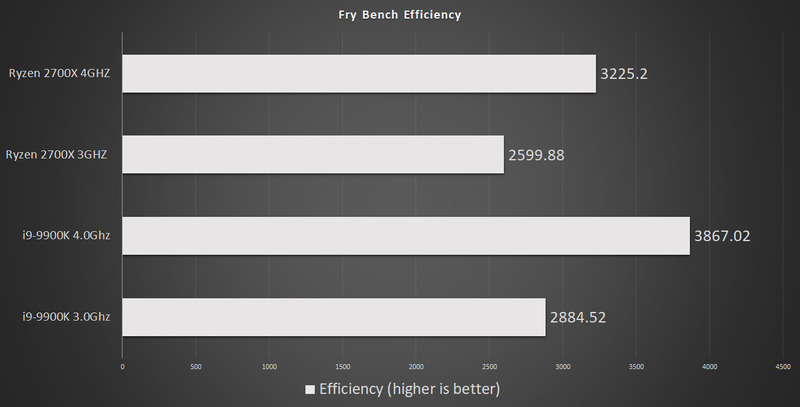 We’ll be putting out a full Z390 review soon, but in this particular article, we’re going to investigate how good (or bad) AMD fare when you pit the two flagship mainstream processors against one another at the same clock speed. Now to be clear here, this is putting the Intel processor at a disadvantage and isn’t intended as a review to help you decide which of the two CPUs to buy. Instead, this is putting the Ryzen 7 2700X at 3 and 4GHZ against the Intel I9-9900K at 3 and 4GHZ and investigating the performance with several CPU intensive benchmarks. 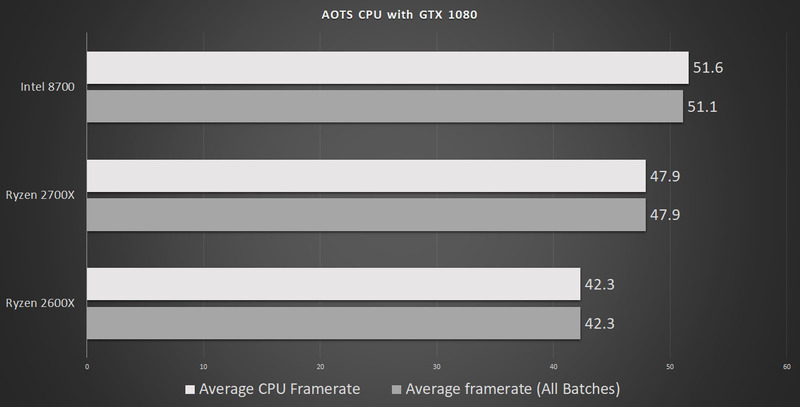 I’d also like to say thanks to my friend Matthew for helping me run these benchmarks on his retail sample I9-9900K. We’ve not had time to set our board and test system up yet as we’ve had a string of reviews and projects, so I coordinated with him to ensure that RAM timings and clocks were identical, we used the same windows and driver versions, along with the relevant benchmarking settings too. 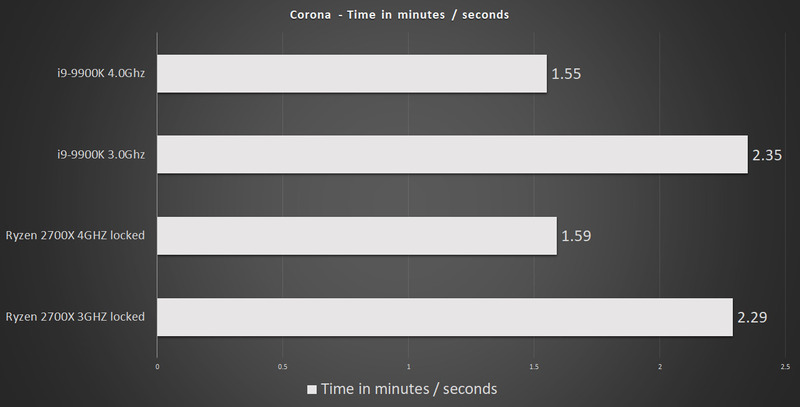 Let’s take a look at the performance of the two processors – once again, this isn’t a review the purpose here is to investigate performance at the same clock speed. 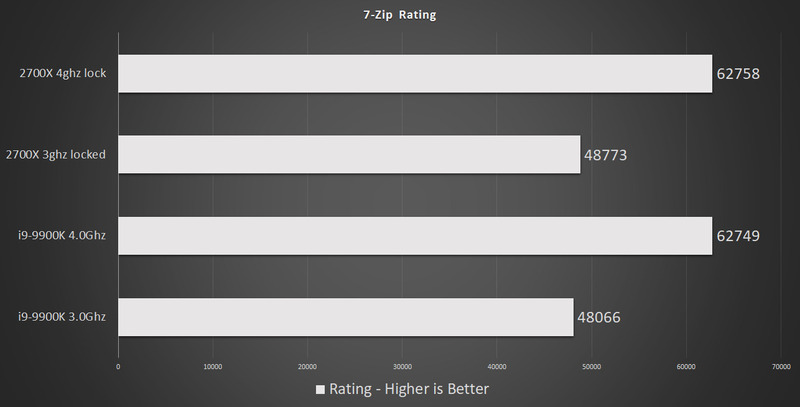 What’s clear about these numbers is that yes, AMD is certainly behind in certain single-thread tests. 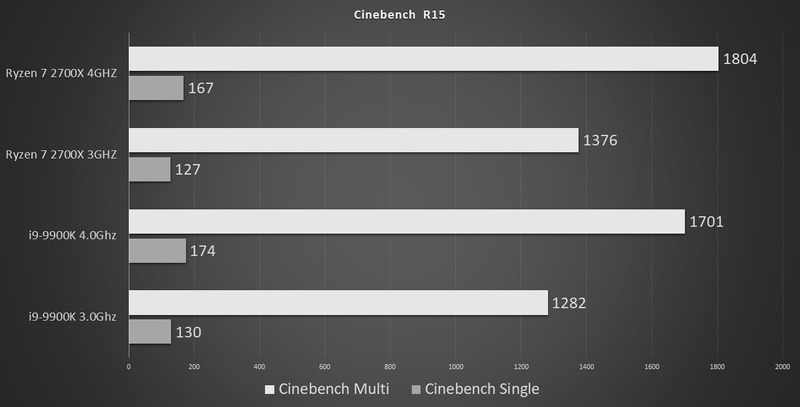 CPUZ and Cinebench both show this as a fact, and combine that with Intel’s much higher clock speed, and obviously, AMD loses out in some applications. But, this demonstrates the company isn’t ‘that’ far behind – a modest 10 percent IPC gain over Zen+ (the heart of the Ryzen 7 2700X) and assuming they can hit the 4.6 – 4.8GHZ clock speed, and AMD will likely have a VERY compelling processor to thwart Intel with. All of this of course – assumes AMD will not increase the core count above the current 8, and Intel has nothing major to counter the company with before the launch of Ryzen 3000 series. Is Intel in trouble? 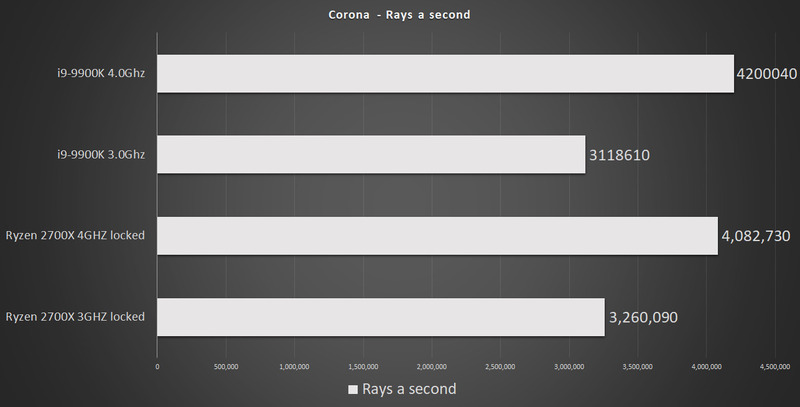 Ultimately, more than just core count it comes down to AMD’s marketing and gaming performance. Intel is holding their own in the gaming arena, and it’s not a debate that their processor is faster than the Ryzen series – if you’re running it as Intel intended and not nerfing it. 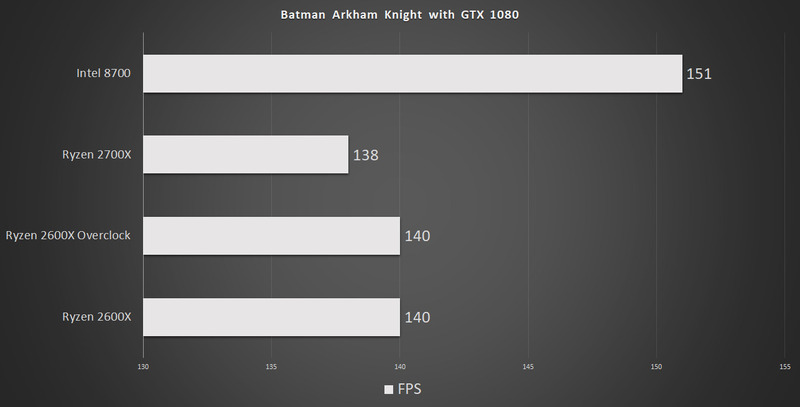 But AMD does not need to beat Intel in every single avenue, they need to simply hold their own in gaming and have enough clock speed where they’re ‘not much slower’ than Intel at worst, but their architecture is enough to be better at Intel at other tasks at its best. But here’ the key – with decent pricing and great marketing, Intel is in for an interesting time of it in the consumer space. It’ll be fascinating what 10nm can do for the company, and also what AMD choose to do with the core count discussion (something we’re going to investigate soon here at RedGamingTech). There’s one thing for certain – the current prices of Intel’s 9th generation puts AMD in a very good place in terms of value, with a B450 board and a Ryzen 2600X or 2700X considerably cheaper and not that much worse performing in a great number of tasks compared to Intel’s platform. It’ll be a very interesting 12 months ahead. This article was filed under Articles, Hardware. Tagged with 3700x, AMD, amd 3700x, ryzen, ryzen 3000, zen, zen 2, zen 2 cpu, zen 2 ipc, zen 2 news.